Tans are fading, the world is morphing into a pumpkin-induced frenzy and you spend your days searching aimlessly for unique costumes, that can only mean one thing? The witching hour is upon us. 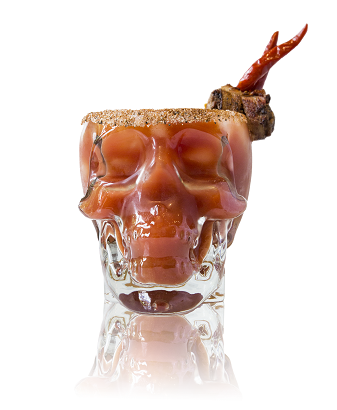 If you are embracing your inner Sanderson sister and attending a ghastly gathering this Halloween (Wednesday, Oct 31), allow for Crystal Head Vodka, Mezcales de Leyenda’s Cementerio Mezcalero (Mezcal Graveyard), and the Stella Rosa Wines “Stellaween Collection” to be that edgy accessory your costume desires. 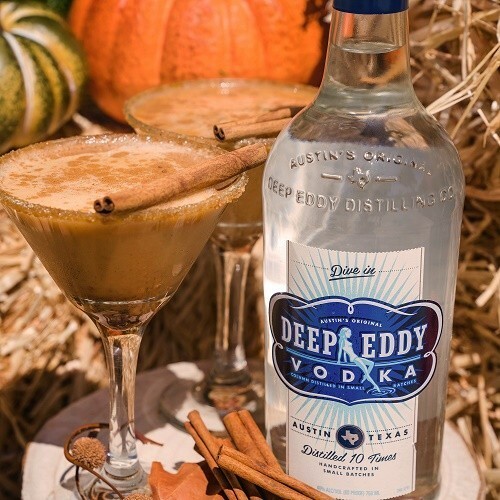 And for those of you who prefer to stay tucked away from the hocus-pocus, we have conjured up some potions from Deep Eddy Vodka, Novo Fogo Cachaça, Slow and Low Rock & Rye, Tequila Avion and Crystal Head Vodka that should provide you with just enough heebie-jeebies to keep the ghouls away! SugarInstructions: Smash up the graham crackers, cinnamon, and sugar together and wet the rim of the glass with maple syrup and dip it into your cinnamon, sugar, cracker mixture. Combine remaining ingredients into your cocktail shaker and shake for 30-45 seconds and pour and strain into your rimmed martini glass. Garnish with a little bit of grated nutmeg and cinnamon stick. Directions: Rub the rim of the glass with a lemon wedge and dip into salt, pepper, and smoked paprika mix. In a shaker half-filled with ice, add in all ingredients and shake well. Strain into the pre-rimmed glass filled with ice. Method: Prepare a double boiler and add the Gummy Bears and the water to the top of the boiler. Let Gummy Bears slowly melt into the water, stirring occasionally. Once they are completely incorporated, transfer the mixture into a separate saucepan and add citric acid and salt and bring to a boil. Boil for 10 minutes, stirring occasionally. 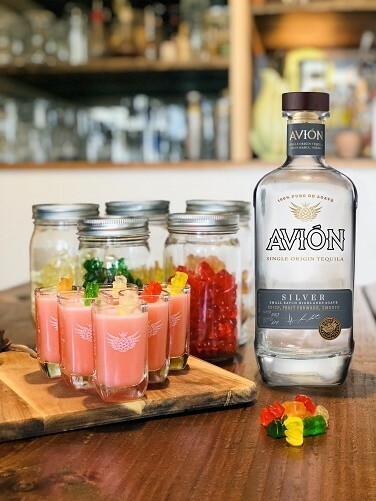 Once the mixture has reduced to 1 cup, you’re ready to build the shots. Take a trip with Alice in Wonderland, with this cult-classic inspired cocktail. 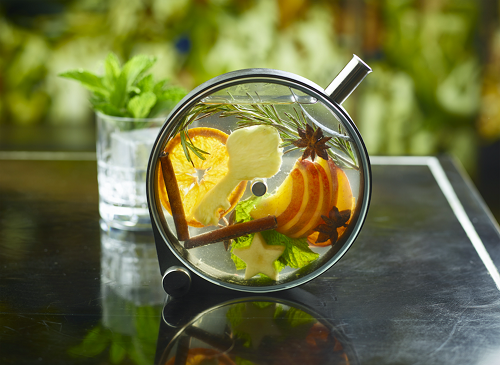 Typically served in The Porthole, a rapid-infusion chamber, the Through the Looking Glass houses nectarines, kaffir lime leaf, star anise, pineapple key, and a blood orange chip. This Novo Fogo and milk-clarified, margarita utilizes the 17th-century milk punch process, which leaves the cocktail as clear as a looking glass.